How to fix malfunctioning Windows screen? Home »	Fix » How to fix malfunctioning Windows screen? Issue: How to fix malfunctioning Windows screen? My Windows 10 has gone completely mad. The screen starts zooming in and out by itself. The problem usually lasts a minute or two but sometimes it goes on up to 5 minutes. I can‘t normally do any important stuff, such as banking operations, as I‘m afraid that the screen would go crazy soon. Sometimes I can use the PC for an entire day without this problem, but most often this bothersome phenomenon starts right after logging in. Tried to update the video card – no progress. I’d appreciate your assistance. 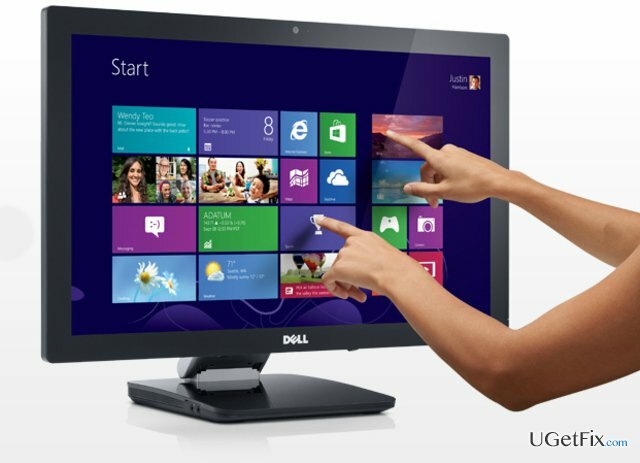 Zooming Windows screen might be the result of the errors in touchpad drivers. Additionally, some users also report that the phenomenon is followed by independently launching or closing applications. However, you should be aware that the latter behavior is very similar to the phenomenon occurring after the infiltration of cyber threats. Independently moving a mouse and launched programs might signal that hackers have accessed your PC remotely. Certainly, such screen problems do not necessarily mean that a threatening virus has targeted your device. However, awareness and cautiousness are significant factors in ensuring proper cyber security. Click Windows button and type Device Manager. Choose either of the options and follow instructions. You can access Troubleshooting function from the main toolbar. Just click on the Start button or press Windows button to find the utility. Alternatively, we recommend you to run the system with Reimage. This tool scans the device thoroughly for any potentially malignant files. Kaip pataisyti blogai veikiantį Windows ekraną?